Some clever chimps have just sent you an email with a link to click that will confirm your subscription. Where next? Find out about my online courses, check out my live events, visit my home page, read about my books or see my most popular post ever?! 1. If you haven’t received the email confirmation, please check your spam/junk folder – many email services put it in there, so most of the problems people have can be solved with this step. It may be worth marking the email as ‘not spam’ to ensure that your email programme will put the newsletters in your inbox. 3. If none of that works, we can add your email address to the list manually. 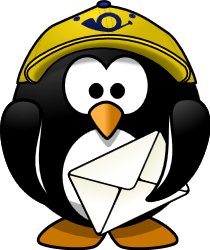 However, due to anti-spam laws, we need your express permission to do so, so please use the contact form and ensure that you clearly request that we add you to the mailing list for our newsletter manually. It’s been from hearing you speak at the Midwifery today conference that’s inspired me to apply for a masters. Thank you so much! Oh how cool 😀 Good luck with it! fabulous. Can’t wait for the workshop in aintree next week either! As a midwife to i´m looking forward to read what you will share with us. When this happens, people usually find that the verification has been sent to their junk folder, so please check that first. If it’s not there, try inputting your name and email into the box again and, if that doesn’t work, drop us a message via the contact page and I will get you added manually. Checked junk & spam, no joy sorry. If you’re able to add me manually, that would be marvellous.